A Birmingham city centre office block is undergoing a £3.5 million renovation. Work has started on the revamp of 4 St Philip&apos;s Place by developer Evanacre which includes restoring its stone façade and replacing the 1980s mansard roof with slate and zinc. Windows will be replaced and large dormer windows will be added to the top floors with the aim of maximising views of Birmingham Cathedral and its square. There will be a new entrance and reception area, cycle storage and shower facilities inside the seven-storey building. New CGIs have been released by the developer and the project is due for completion by Easter. 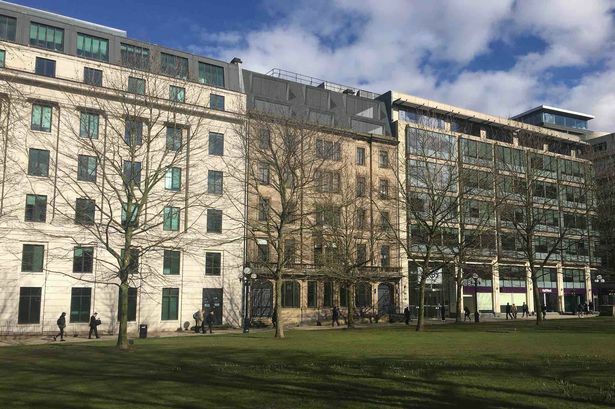 Evanacre’s managing director Paul Jones said: "4 St Philip&apos;s Square is a characterful building facing on to the churchyard. "It has an aspirational business address and we are determined that the refurbishment will live up to the building’s location. "It will include the signature styling that has become synonymous with Evenacre projects and in tune with the very latest office design trends." The project has been designed by Associated Architects on behalf of landlord Arbuthnot Latham & Co and Savills is marketing the space.